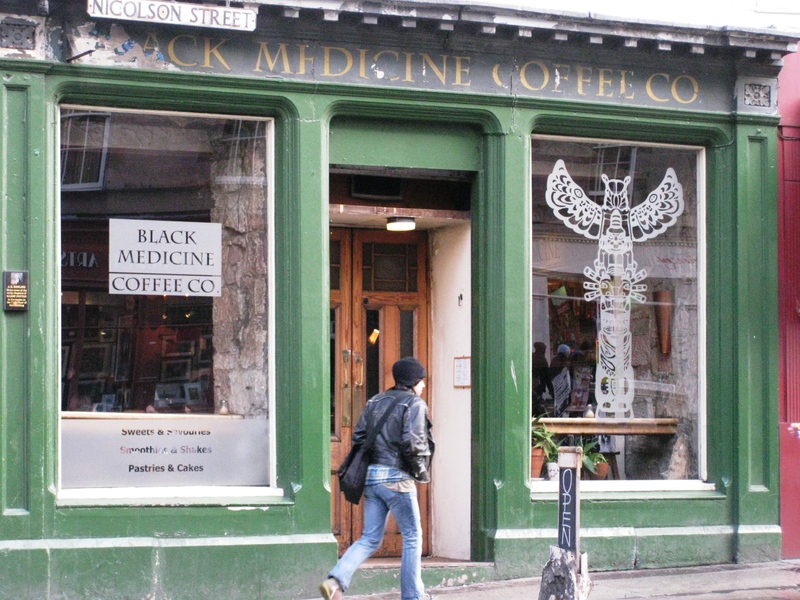 The Black Medicine Coffee Co. on Nicolson Street is a mecca for students. You will often find the place filled to bursting with people working away at computers or surrounded by sheets of paper and books. This confuses me somewhat, because although the tables are indeed nice and large, the coffee is good and there is a warm and friendly atmosphere – it’s incredibly dark inside. Most of the photos I took were too blurry to be included in this post and it was only 2pm. I really wouldn’t recommend working here unless you want to damage to your eyesight. They offer newspapers and there is a book exchange at this café, which are all nice features, but again, light for reading is an issue (unless you manage to plant yourself next to a window). 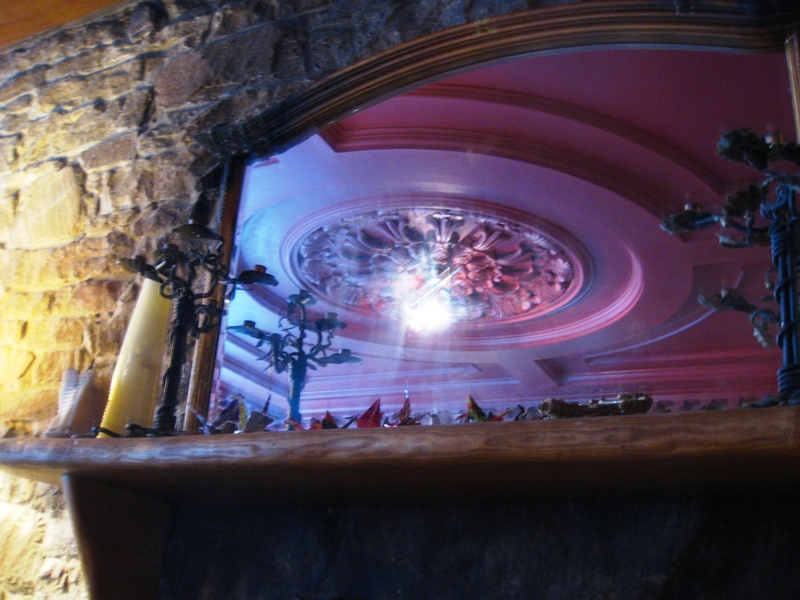 A few table lamps wouldn’t do this place any harm. Upsides: good coffee, great atmosphere, good reading material, nice decor, their take-away coffee cups are really really, seriously good-looking. Downsides: they have absolutely maximised on seating in here which slightly pushes the cozy feeling to downright cramped when it’s full, the cakes are not great, it’s dark, staff can be rude, service isn’t great as your coffee doesn’t come to your table. One of my pet hates is waiting to pick up your coffee and cake before going to sit down, because you might already be overloaded carrying your own things. With coffee and cake in hand you might not even find a suitable table, or the one you were eyeing up might be taken, then what do you do? Overall I think the downsides rather outweigh this cafés good points. 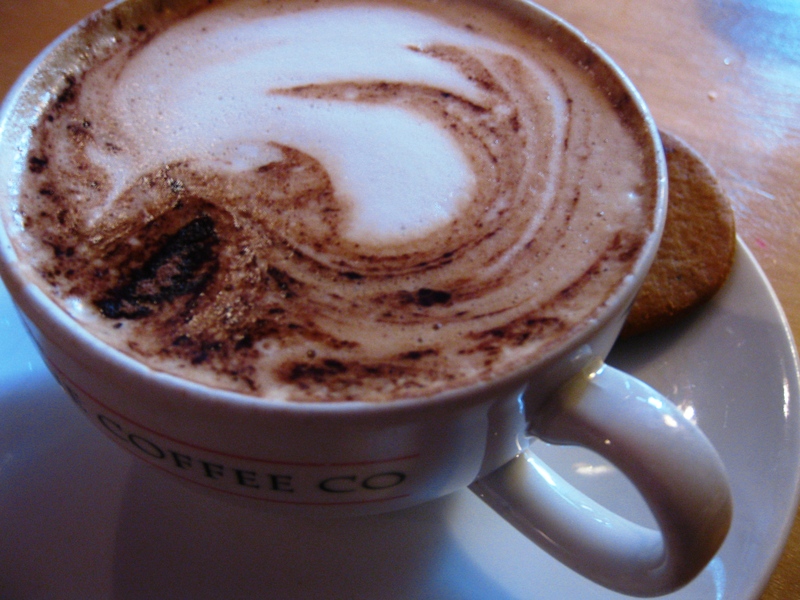 Come here to chill out and drink nice coffee with some friends and enjoy the atmosphere. Don’t come here to work. I know this is what all the cool kids do, but not everything the cool kids do is actually a good idea. We tried this place once. We couldn’t find anywhere to sit so my husband asked someone at the counter – very politely I might add – if there were any seats available. We got very short shrift, in fact they were downright rude and unhelpful. We may not be students, but we had two of our three teenagers with us so would probably have spent more than the average customer – but we left and will not be going again. Too cool for its own good. And I agree about not wanting to struggle to the table with your coffee too. It’s bad enough having to do that in John Lewis – and even there they will help you if you ask.